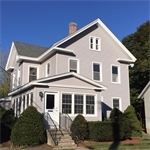 I am a committed, full time Real Estate Broker, licensed in the State of Connecticut with over 17 years experience. I'm a member of The New Haven Middlesex Association of Realtors, The Connecticut Association of Realtors and The National Association of Realtors. Communication is Key! Buying or Selling- I work with you personally! I promise to keep you informed and answer any questions you may have. I’m here for you throughout the entire process. Accessibility! For my clients, I am always just a phone call, text or email away. I'm here for you 7 days a week, day or evening! I work around your needs. Honesty! I won’t inflate the value of your home to get your listing. My valuations are based on facts. For my Buyer Clients, I will share my observations and opinions. My goal is to find the perfect home for YOU! Care! I work for you and your specific needs. Your complete satisfaction is my number one priority.